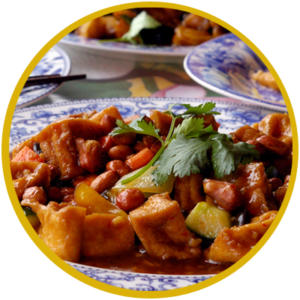 You can join ‘Friends of Gigi Gao’s Favourite Authentic Chinese’ here – this group will receive details of forthcoming events and news prior to public release, allowing our valued regular customers to take priority advantage of any offers or promotions we may have in the future. By joining you will shortly hear of our new and exciting projects, the details of which we are hoping to share shortly. PLEASE NOTE: Once you have completed the form and submitted your registration, you will receive an ACTIVATION EMAIL in your email Inbox. You MUST ACTIVATE YOUR REGISTRATION before it can be accepted. You can change your mind at any time by clicking the unsubscribe link in the footer of any email you receive from us. We will treat your information with respect AND WILL NOT SHARE THE INFORMATION WITH THIRD PARTIES. Thank you, for supporting Gigi Gao’s Favourite Authentic Chinese, we truly are very grateful.